Don't mind me, I'm still at the iTuTu festival. 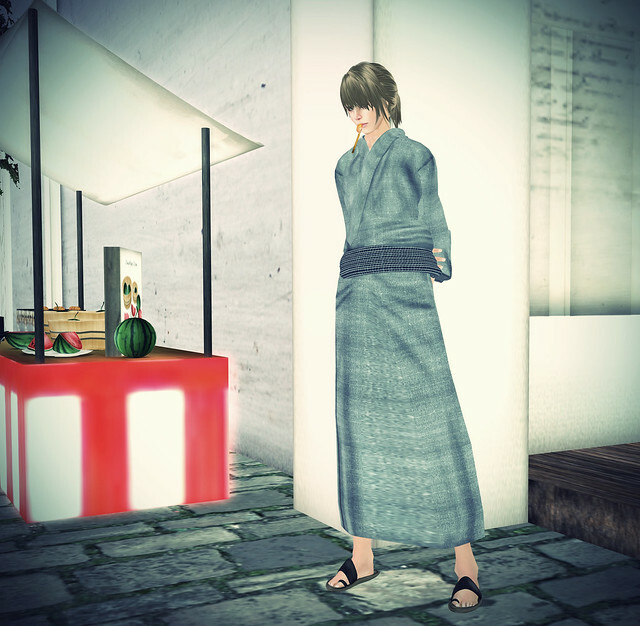 I picked up this lovely Arai yukata for boys at one of the stands (with several colors of obi! ), as well as something tasty for my avatar to nom… I'm still in love with this build, and I think I'll haunt it all weekend. At the festival, look for: New Honey+Kitty dresses and shirt+short outfits, new tiny little DP**yumyum shorts (so tasty, with the top button undone), Atelier AM basket-purses, and a 100L Kao sunburnt skin!